We are so close to the end of the alphabet now, it’s been almost 5 weeks since I began the A-Z of crochet. I thought it was time to return to some stitches for a couple of posts. Creating this blog series has encouraged me to try so many new techniques and patterns and it’s been great fun. I came across the V-stitch in a Facebook crochet group, where I saw a stunning blanket made entirely from it. As I only wanted to create a small square I Googled patterns and found this tutorial by Red Heart Yarns. I followed the second one, with no chains between the stitches as I wanted quite a close texture. The pattern called for multiples of 6, but I did a quick bit of calculating and, in a fit of rebellion, made a foundation chain of 28 as my squares were all in the region of 25 stitches across. Luckily for me it worked, I am pretty certain that any even number would be OK actually. I quite like how the stitch looks like little grain of rice! It is basically worked by crocheting twice into one stitch, skipping 1 and crocheting 2 into the next. On the next row you crochet 2 between the 2 stitches of the row below, splitting them to make a ‘V’ shape, with a treble crochet on it’s own at each end of the row. I was particularly impressed with this stitch as the ends of my rows were about as straight as I’ve ever managed to make them! 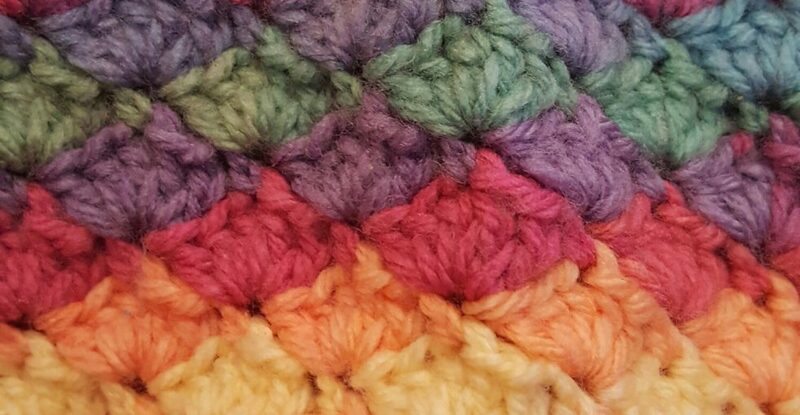 The v stitch may not be the most exciting or intricate stitch, but I think it looks quite pretty and it works up so quickly if you want a change from basic treble crochet. There are also other variations where you chain between the 2 stitches making the V, giving a really open texture. (It reminds me of the kind of stitch you might see on a beach cover up.) This yellow square which I made a while back also uses v stitch but in the round rather than just rows. Have you ever used v stitch in a project? What else would you use it for? v stitch is one of my favorites !! Yep, I have used this stitch. I like it too. I have used it to make a market bag and a chevron style beanie. I’d never thought of crocheting a belt. What sort of yarn did you use? 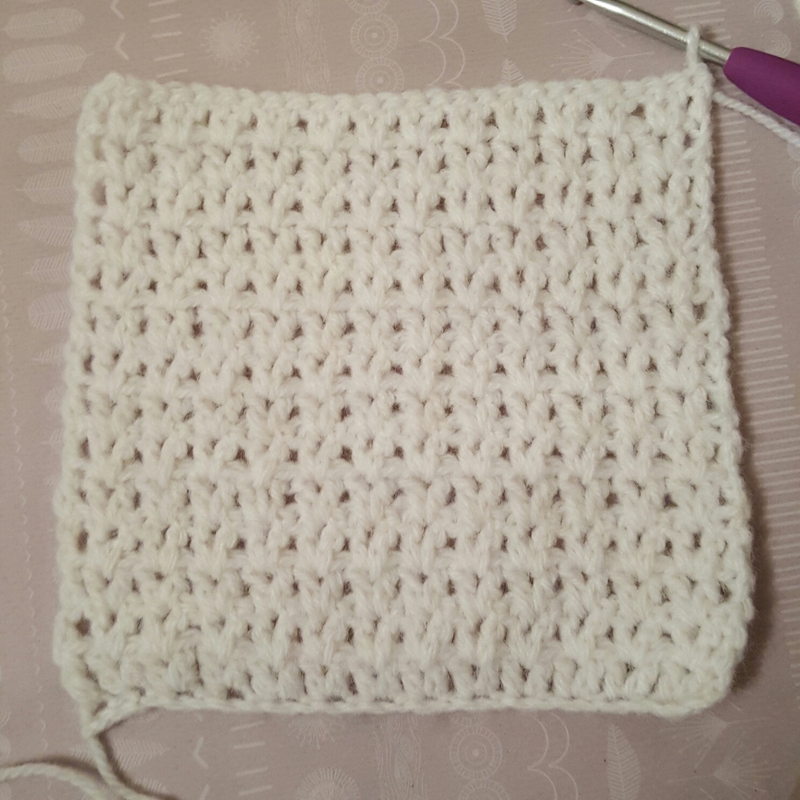 Never used this stitch before… might look nice for a handbag or something! I’ll have to try it out sometime. Oooh this stitch looks lovely. I have never used it but may do now!